AMFI: Association of Mutual Fund in India. 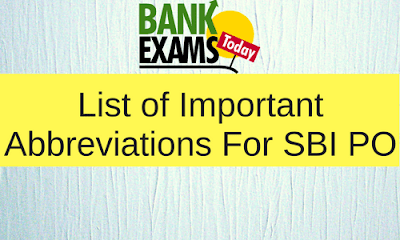 BCSBI: Banking Codes and Standards Board of India. BIS: Bank for International Settlements. CEPA: Comprehensive Economic Partnership Management. FIMMDA: Fixed Income Money MARKETS and Derivatives Association. IBRD: International Bank for Reconstruction and Development. UIDAI: Unique Identification Development Authority of India.